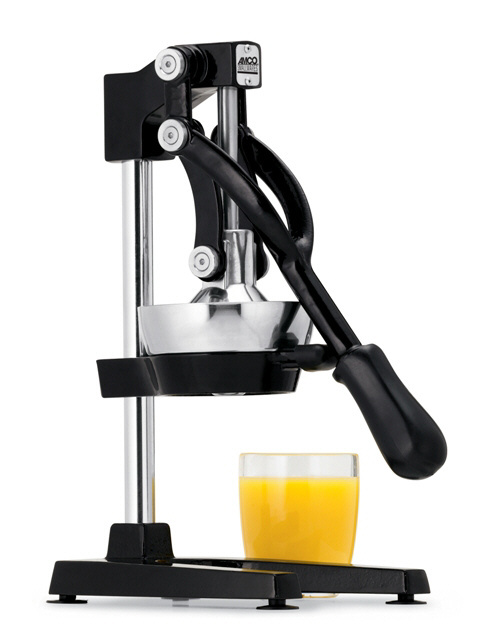 OrangeX Black Household - Citrus Press / Juicer - juices oranges, grapefruits, lemons, limes and more! What's the difference between the OrangeX Household and OrangeX Commercial Model? Please note: The name of this juicer has been changed to the Jupiter. It is made in the same factory as the OrangeX and is identical to the OrangeX except for the name.